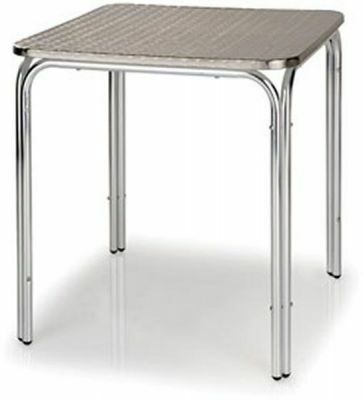 Stackable Aluminium table with square tops. Also available as a frame only. Available from stock for free and fast delivery and suitable for indoor and outdoor commercial applications. High-quality commercial standard stacking aluminium table with for tubular frame and four legs. The four leg table base can also be bought as a singular product. Held in stock in high volumes for a quick delivery.